Watch The Good Wife Season 7 Episode 20 online via TV Fanatic with over 10 options to watch the The Good Wife S7E20 full episode. Affiliates with free and paid streaming include Amazon, iTunes, Vudu, YouTube Purchase, Google Play, Hulu Plus, Amazon Prime, CBS All Access, Verizon On Demand, and CBS All Access (Via Amazon Prime). 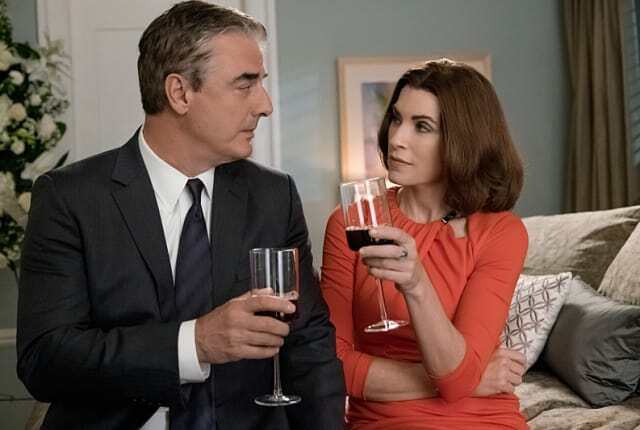 On The Good Wife Season 7 Episode 20, everything goes wrong at a party to celebrate Howard and Jackie's upcoming wedding while Eli asks Jason to investigate Peter. There's a funeral somewhere that's getting flowers saying Congratulations Howard and Jackie. Permalink: There's a funeral somewhere that's getting flowers saying Congratulations Howard and Jackie. Alicia: Zack, this is the stupidest thing I've heard you say in a while. Alicia: And there have been some pretty stupid things. Permalink: And there have been some pretty stupid things. The Good Wife Round Table: Is Peter Innocent?